You must see this brand new move in ready home, built in December 2017. 4 bed, 2 and a half bath, 3 car garage home in Stoneledge Community. 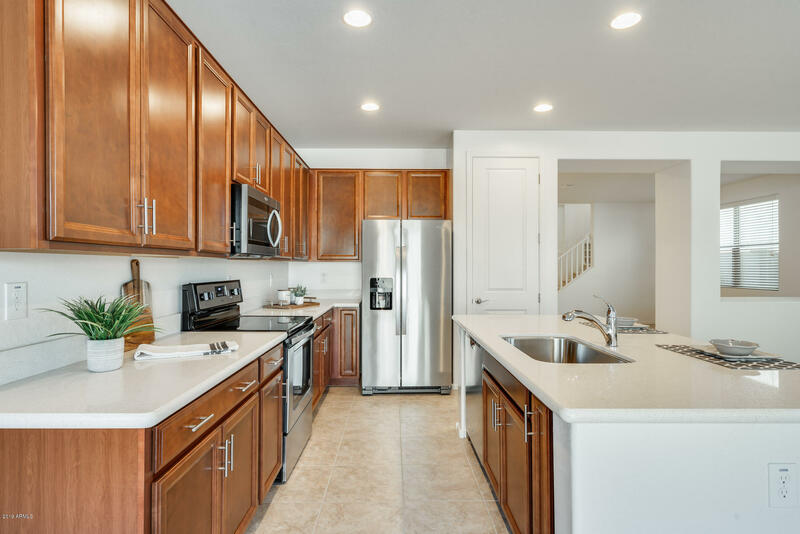 Bright open kitchen with island, maple cabinets, quartz countertops, pantry, and sleek stainless steel appliances. You will love the huge master suite and master bathroom with double sinks, separate walk-in shower, and garden tub, plus a spacious walk-in closet. This home is ideal for quality family time while allowing for personal space. Retreat outside under the covered patio for some relaxation while watching the Arizona sunset. You will cherish living at Stoneledge with the Shops at Norterra and the Anthem Outlets just a few minutes away. Very desired location with easy access located by the I-17 Hwy.